Stay on top of the latest kitchenware trends | Atelier du Chef - Enhance Your Beverage Station! Designing a beverage station is more complicated than you might think. It must be easy to use for your clients, provide all the necessary equipment and accessories, and be made of the right materials. At first glance, these elements may seem trivial. However, they can have a significant impact on customer satisfaction and should not be neglected. Do not skimp on materials, equipment, and accessories. They are, without a doubt, largely responsible for the efficiency of your station. 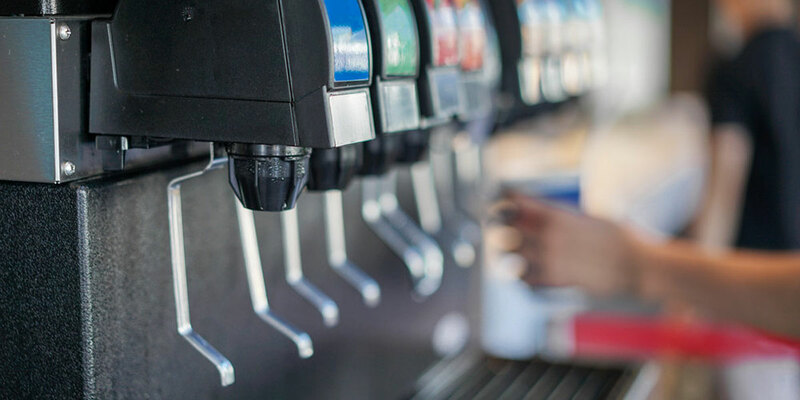 Beverage dispensers with integrated ice machines must allow for maximum ice storage. Make sure you never run out of ice, especially during busy periods. Choose a dispenser that is quiet and stays cool. It will be less bothersome for your clients. Choose a counter that can support dispensers and accessories. Materials should be stain resistant and liquid proof, with rounded edges, and no joints if possible. Anticipate spills by planning a drain to capture overflowing liquids. Plan the necessary space for electricals and plumbing behind your equipment. Make sure plumbers can access your drains for maintenance and repairs. Avoid wasting lids by testing lid dispensers. Keep the space clean by placing trash cans in strategic locations. Install a longer counter if you can. Ideally, it should allow for 2 or 3 customers to move freely around the station, with their cabarets and takeout. Place condiments away from the beverage station. Make a list of items to store under the counter. Prepare and measure garbage bags, cleaning products, extra ingredients or accessories and place them on adjustable shelves. Avoid congestion by placing your beverage station away from your food station. As you can see, planning a beverage station is not that easy! Fortunately, Atelier du Chef has the expertise to help you plan for this space. We offer planning and design services for professional kitchens and restaurants. Contact us today to speak with our seasoned advisors!